Collins Booksellers - 150 Survival Secrets by James C. Jones, 9781510737792. Buy this book online. How to treat common injuries. Other sections answer everything you’ve ever wondered about disaster prepping, including what being a survivalist entails, how to equip your home for survival situations, what gear is essential for a survivalist to own, what elements are essential in a good emergency plan, what types of disasters you can expect to face in your lifetime, and more. So what are you waiting for? 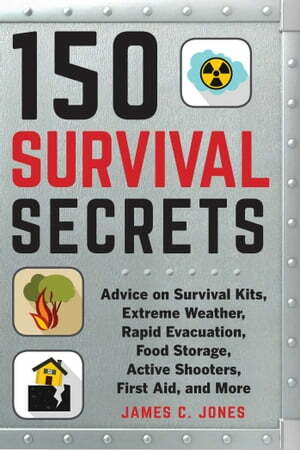 With 150 Survival Secrets, you’ll be prepared for anything and everything.